You might have heard about Aloe-Vera, the greenish color leaf but have you ever noticed what benefits it can provide? 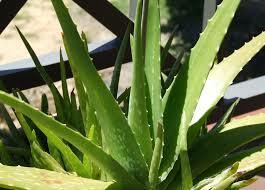 I think most of you might be knowing its benefits or might have heard your neighbour or someone suggesting someone about using Aloe-Vera. Yes! 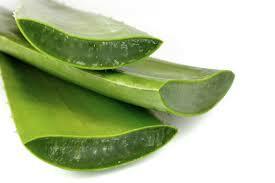 One leaf of Aloe-Vera can help you a lot. It can be used for various medicinal purposes. Especially for those who want to look glowing without spending a single penny. Some of you might be having your skin tanned or having sunburns due to excessive exposure of your skin towards sun. I bet you’ll get rid of all this if you try this out. Aloe is a medicinal plant that contains properties similar to menthol that has a soothing sensation over the skin whenever applied over the affected surface. To reduce tanning you just have to prepare a paste by mixing 2 spoons of aloe with gulabari and one tablespoon of lemon juice and that’s it ! So Easy! Your face pack is ready. You can use it on the face after deep expose of your skin towards sun rays. Just keep it for 15-20 minutes and relax. After the stipulated time period rinse off your face with water. Since it has soothing properties it will help you out in soothing sunburns and make you look glowing and fairer. Apply it at least twice within a week and feel the difference. So Ready,Get ,Set ,Go ! Ayurveda, Beauty & Skin. permalink.